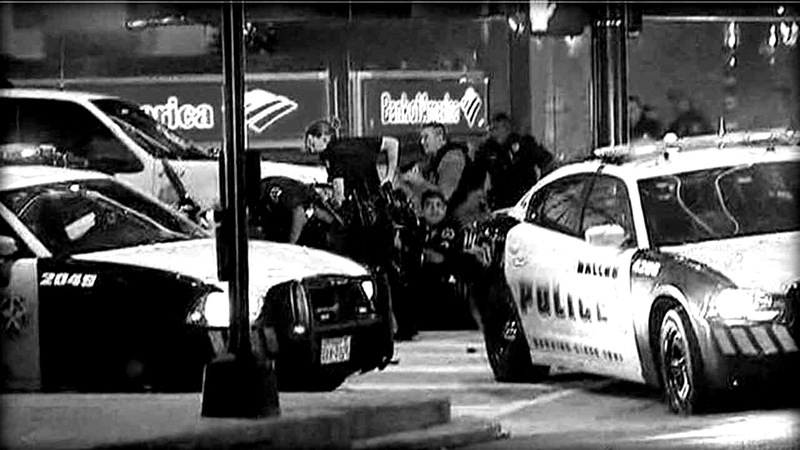 In the past 24 hours, there have been ambush shootings of police officers in Dallas, Texas, Valdosta, Georgia, and Ballwin, Missouri. Five officers are dead and at least 9 are wounded. Some in the law enforcement community are in shock, others are very angry. Family, friends, and concerned citizens have been reaching out to those in our profession with support. Food arrived at our station today, donated by sympathetic locals in appreciation for what we do. A retired officer called and asked that we be careful out on the street. My cousin, an officer in New Jersey, Facebooked me a “watch your back” message. The conversation as my guys arrived at work was not only about the shootings, but of the reactions by their loved ones as they departed from their homes this morning. Wives, husbands, and children reportedly had varying emotions. I know I lingered with my spouse a bit longer at the front door on my way out. It was somber as we watched the news at lunch. Details were still unfolding about the tragedy in Dallas and we quietly poured out our thoughts, along with the occasional biting comment. It was as if our own family had been assaulted. I guess it was. All during the day, my thoughts returned to the downed officers and their families. After many, many years in this job, the word “why” has faded from importance to me. Victims, especially of violent crimes, often seek to find solace, understanding, or closure in “why.” But the motivations of those driven by hate and darkness are inconsequential in my mind. If criminals, terrorists, and zealots are unafraid to viciously attack the police, then what does that say about the safety of everyday citizens? We need to continue to watch over each other and those whom we are sworn to protect. I have nothing but admiration for the men and women who run toward the sound of gunfire. Dial up the officer safety and let’s get on with our work. This entry was posted in Officer Down, Officer Safety, Street. Bookmark the permalink. Stay Safe, My Brothers and Sisters! Appreciated, Dave. Same to you. I was watching the Fox News show “Outnumbered” when I heard Julie Roginsky say this about the police murders in Dallas: “No good guy with a gun showed up to help, so we can put that fallacy to rest!” There’s nothing written down, but I can’t name a single NRA member I know that wouldn’t come running to the aid of a police officer. Ms. Roginsky speaks from ignorance, and that’s the kindest thing I can say about her statement. I can’t say a ton of us will be running to the aid of politicians who insist on criminalizing 2nd Amendment RIGHTS, and yes, I have a MOLON LABE symbol on my truck, but don’t even think about attacking a police officer anywhere I can see you. I never wore blue, but I wore army green, and no officer will be outgunned in my presence. Exactly how I feel when I’m off duty, Thomas. Thanks for adding your thoughts. My thoughts and prayers for police officers everywhere, especially in Dallas. Thank you, Mike. I’m sure the officers in Dallas welcome the thoughts. What happened in Dallas grieved me. I thank God for the men and women in this nation’s police departments who make this a decent place to live. With out you and them this would be a war zone. It seems like these shootings are getting worse in the pass eight years. As a retired Lt. Firefighter and Law enforcement officer I understand the dangers of the job. My prayers go out to the fallen and their families. Life member N.R.A. We must save the 2nd Amendment! Great post Randall, sadly I’m afraid it won’t be the only one this year or into the near future. As the Presidential election ramps up I expect to see many more protests, and several more violent ones at that. I also expect to see violent attacks on police continue for some time. In the Midwest we have already received intelligence reports of mass protests/road blockages, the 15th of EVERY MONTH on roadways designated Martin Luther King, Jr. roads. In addition, the New Black Panther Party and several other radicals are blatantly and publicly calling for the killing of more cops and whites in general. Officers know we face danger every day, but this type of threat brings our vigilance to an all new meaning. Not just for each other, but our families too. Dark times at hand, and even darker days ahead I’m afraid. Thanks, Aaron. We have an impending BLM/NBPP rally Saturday. I’ll be back in uniform supervising four squads on the line, trying to keep my people safe. These are difficult times. We should all be thankful for the courageous men and women who always run toward the danger, without regard to their own safety, to protect and defend all of us from the evil, crazed, angry, hateful and others who belong behind bars. May God BLESS all of our police officers and others risking their lives on a daily basis.Our thoughts and prayers go out to the brave who have given their lives to protect all of us. And to their loved ones with whom we now grieve. We continue to pray for leadership to put an end to such madness.